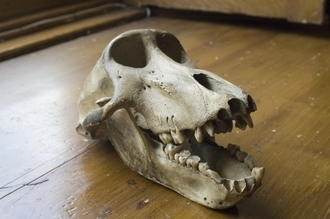 Down House, the family home of Victorian scientist Charles Darwin, offers a unique insight into one of the world's greatest thinkers. 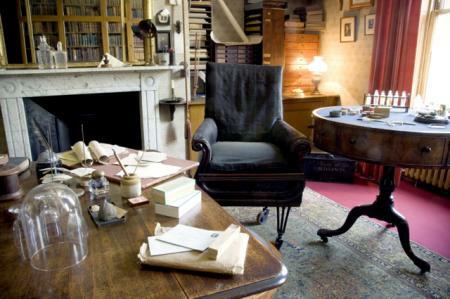 Visit to stand in the study where Darwin wrote 'On the Origin of Species', stroll through beautiful gardens and find out more about the theory of evolution. Our family testers share their tips for a great day out in rural Kent. During a visit to Down House in Kent you can stand in the very room where Darwin developed his revolutionary scientific theories, still as it was when he lived here. 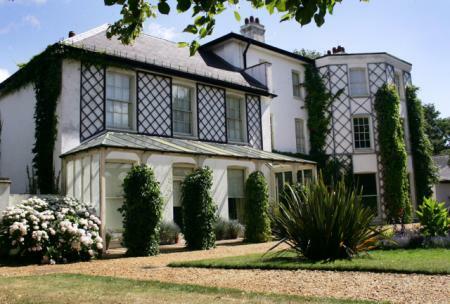 Stroll around the beautiful gardens he loved and find out more about the theory of evolution which shocked the Victorian world before playing a game or hide and seek in the Kent countryside. Michelle Bown visited with Maddison, 8, Dillon, 5 and her husband Lee. We thoroughly enjoyed our visit to Down House. Our daughter was looking at the work of Charles Darwin at school so the trip was a fantastic way to complement her learning. All staff were friendly and helpful as soon as we walked through the door, and were very engaging with the children. We were told to start upstairs in the house which was a self-guided adventure but there were plenty of knowledgable staff members on hand to tell us the stories behind the exhibits. Maddison was enthralled and kept staff on their toes by asking lots of questions which they appeared to relish. On our tour of the second floor we found a playroom filled with old fashioned games and dressing up which we all took great pleasure in participating in. Many other rooms also held ‘hands on’ exhibits that the children could explore without the usual ‘stop touching’ moan from me! The ground floor and gardens were audio guided (included in the entry price) and surprisingly even the children managed to navigate their way through the touch screen menus to find the specific locations we were in. Dillon even took to being our mini tour guide. The hand-held multimedia guide is narrated by Sir David Attenborough and Andrew Marr (nice for the grown-ups!). The Down House gardens were Darwin’s ‘outdoor laboratory’, complete with ‘thinking path’, and we found them truly beautiful (thankfully we picked a sunny day to visit!). The greenhouse had lots of weird and wonderful things to see, including small (carnivorous) flytrap plants which Dillon saw in action almost a little too closely! 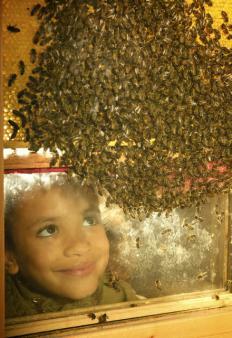 The beehive in the outbuilding was fascinating and it took a while to draw the children away, but the idea of spotting bees collecting the pollen from the flowers outside seemed to do the trick. Whilst Down House is a truly fascinating place to visit I wouldn’t say it would take up an entire day, so a walk into Down Village is well worth factoring in to complete a family day out in the country. 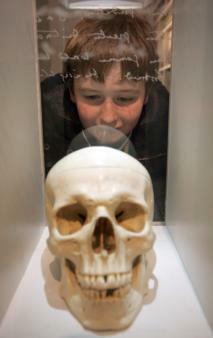 It's definitely worth looking at the Down House events listings before you visit – you might be able to "meet" the great man himself at a Discover witg Darwin workshop, carve pumpkins at Halloween, make Christmas decorations or hear expert tips and look through telescopes to gaze at the stars in an introduction to astronomy session. After an exciting tour of the house and gardens we headed to the little café for tea and cakes and it was lovely to have the option to sit outside and gaze at the glorious gardens. Food and drinks are in no way over priced and there is something for everyone. We didn’t plan to stay for lunch but it was nice to see the menu consisted of dishes made from produce grown in Down House’s very own kitchen gardens. Family tickets are £30.50 (2 adults, 3 children). Admission includes free audio guide. Down House's opening times vary according to the season, so always check before you travel. The gift shop, although small, housed many great gifts, treats and treasures. The children had no trouble spending their £5 limit each and it was nice to see shelves of books about Darwin and his work. Look at pictures of some of the most significant objects from Down House online; extensive information about the house and its history and significance are also available on the English Heritage website. 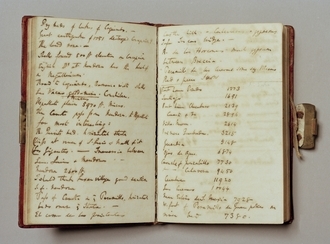 Darwin Online is the world's most widely used source of Darwin information.